This is one of those magical recipes that sounds like it would be really high in calories but isn’t! 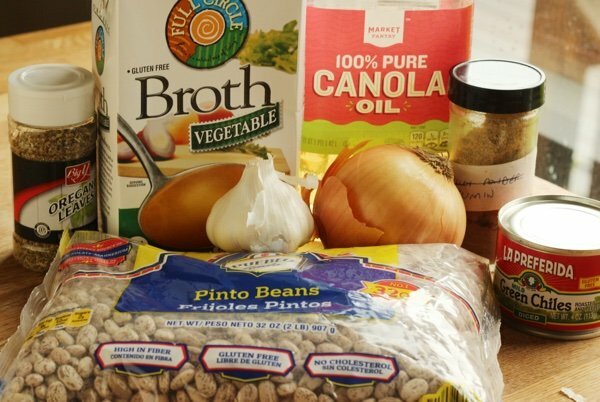 You don’t need lard to make these beans into something special but an Instant Pot will help. It is really hard for me not use my Instant Pot for all my recipes since I like the results so much! Check out my light instant pot chicken and rice for more inspiration. Cooking beans is the reason that you should buy an instant pot. Without pre-soaking, I tossed these pinto beans into my Instant Pot and less than an hour later, I had absolutely perfect beans. One dollar of dried beans turned into about five dollars of canned beans. You do that 25 times and you will pay for the $100 Instant Pot. Also, you can control the amount of salt in your beans and they taste better than canned. Have you noticed how canned beans can sometimes taste like the can? So, these look pretty perfect and the consistency is also perfect. If you have attempted to cook your own beans, you know you can get crunchy or mushy results. You do not have to do it this way. If I am in a hurry, I will cook the onions in another pot while the beans are cooking. This way, you can just toss the cooked beans into the onions, garlic, and chilis - mash and serve. BUT, you will have to wash an extra pot. Which is not as wonderful as just using the Instant Pot for the entire recipe as I did in the above photo. I eat these beans with rice, tortillas, eggs, over chips, on toast or all on their own. They are so creamy and flavorful!! Take THAT mayonnaise. 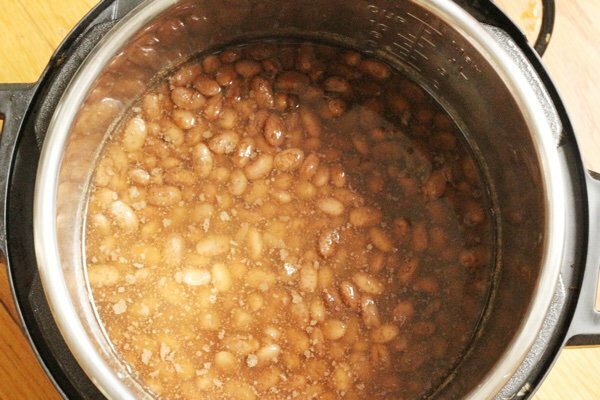 Have you made refried pinto beans in the Instant Pot? What do you serve with them? Add pinto beans, chicken broth, and one teaspoon cumin to the Instant Pot. Choose MANUAL and cook on high pressure for 40 minutes. When finished, allow a natural pressure release before opening the Instant Pot. Drain beans into a sieve over a bowl to keep cooking liquid. Rinse Instant Pot liner and put back into pot. Select SAUTE, and add canola oil. Add onion, chiles, garlic, and one teaspoon cumin. 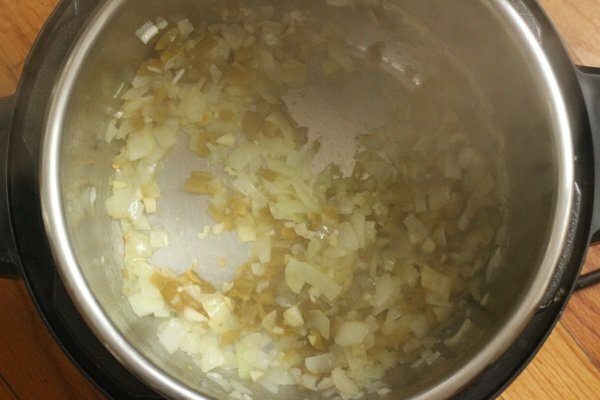 Cook until onions are softened about 3 minutes. Turn off heat and add oregano, beans, and 1 1/2 cups of cooking liquid. 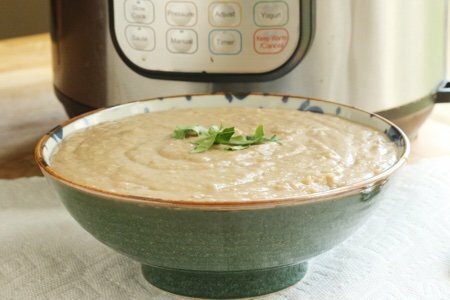 You can mash the beans with a potato mashers or puree in a blender. Adjust seasonings and add more liquid if needed. I love beans. This looks good. I don’t have an instapot, but maybe I need to ask Santa for one. We just inventoried our freezer and I have a couple dozen bags of roasted green chilis. Now this recipe that uses them. Time to make up a batch! For this recipe, which sounds delicious - I wonder if you can't just saute the aromatics, then add the beans to the pot and cook it all together? Since you're pureeing all at the end anyway. @Christine - I think that could work but I think the idea of adding it in at the end is to make the flavor stronger. It would be more decomposed (for lack of a better word) if you cook the aromatics at high pressure. I’m going to have to try this one. 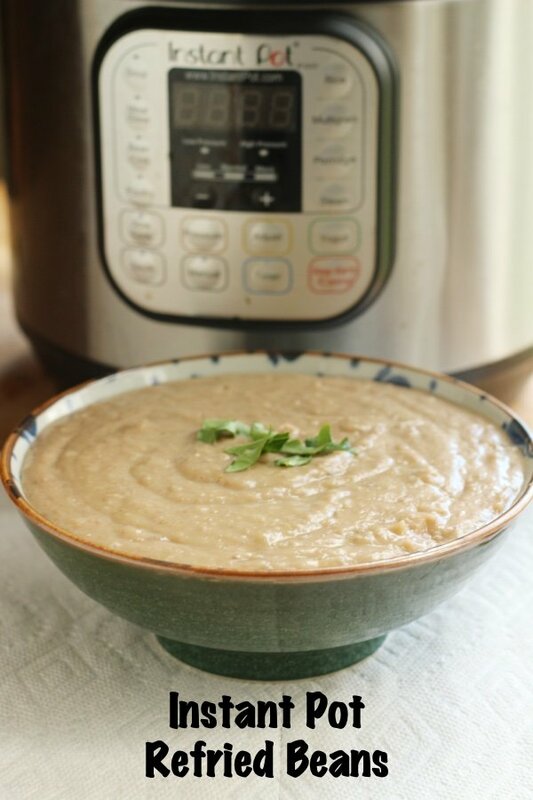 I use my instant pot all the time for soups. I’ve found beans to be a bit of a challenge (soaked or not) which I think may have to do with the freshness of the beans which is hard to determine with dried beans. Do not have the pot. May I just cook beans as always, sauté spices, onions....then combine in bean pot? Dont have an instant pot but am soaking pintos overnight to make tomorrow. I'm planning to leave out the oil to keep beans at O pts. All the other flavors should be enough. I wonder if roasted hatch chiles would work in this dish. I just happen to have some in freezer. What do you think?